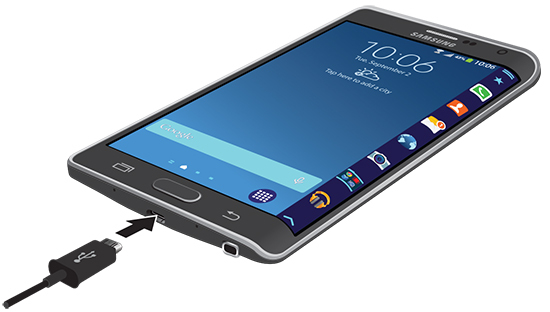 Note Edge: How can I quickly charge my Samsung Galaxy Note Edge? *Based on laboratory testing. Battery power consumption depends on factors such as network configuration, carrier, signal strength, operating temperature, features selected, vibrate mode, backlight settings, browser use, frequency of calls and voice, data and other applications' usage patterns. 3. Touch Battery or Power saving . 4. Mark the Fast charging checkbox to turn on the feature. 5. Plug the supplied USB cable into the power/accessory interface connector on the bottom of your device. Adaptive Fast Charging works only with the charger that came with your device. 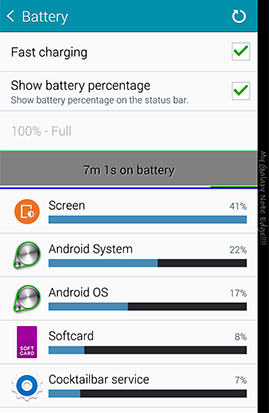 Note Edge: How do I install and charge the battery for my Samsung Galaxy Note Edge?